Guava´s Uses. Formulations. Contraindications of guava. Preparation and Dosage. Uses of Guava fruit and leaves. In the guava´s preparations are used its astringent and secant properties given by the large amount of tannins and flavonoids contained. 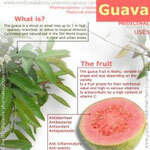 The guava can be used in the form of tincture 20% following the general procedures of obtaining this preparation. To prepare it as talc, crush 50 g of dried leaves and mix it with 100 g of talc common. 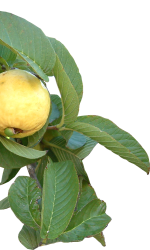 Guava leaves can be used as astringent baths for treating wounds, sores and skin ulcers. It must be taken 20 leaves specially selected and carefully washed. It boils in 2 liters of water for 8 minutes, then cool it at ambience temperature and applies it as a fomentation on the damage skin for 30 minutes. In foot wounds, foot must be soaked in a vessel containing this water cool and freshly prepared. In other parts of the body is applied with a wet dressing with the preparation. It is very useful in cases of diabetic foot and ulcers. In Mexico guava´s bud infusion is used to fight diarrhea. The juice of the guava fruit boiled and strained is mixed with one part of pulp and two parts of sugar becoming a syrup recommended for diarrhea. To improve the dropsy, is prepare an infusion with a piece of guava root in water and should be drunk two glasses of this brew daily. Rarely causes disorders of the gastrointestinal tract mucosa. For its potassium content should be used under medical observation in case of patients with cardiac treatment. It should not be used in children, pregnancy and lactation. For internal use prepare an infusion as follows: boil for 3 minutes 10-20 g of fresh guava leaves in one liter of water. Drink 120 mL, 6 times a day. The infusion should be prepared daily. Tincture: 200g of dried leaves in 1000 ml of alcohol, prepared it by percolation for internal use. Take 20 drops in half a glass of water 3 times a day. Dried leaves powdered are used for dermatological conditions such as antibacterial and antifungal, (athlete's foot, eczema). Do not use for more than 30 days. summary characteristics and properties of Guava. FAO. Especies frutales forestales. Roma: Estudios FAO-Montes No. 34, 1982:150. Cuba, Ministerio de la Agricultura. Instructivo técnico del cultivo de la guayaba. La Habana: Dirección de Cítricos y otros Frutales, 1985:47. Duraffourd C, Hervicourt LD y Lapraz JC. Cuadernos de fitoterapia clínica. Barcelona: Ed. Masson, 1986:86. Nicaragua, Ministerio de Salud. Sobre las plantas medicinales más frecuentemente usadas en la Región I "Las Segovias". Managua. Primer Encuentro de Centroamérica, Panamá y Belice para el rescate de la medicina popular, 1987. Roig JT. Plantas medicinales, aromáticas o venenosas de Cuba. La Habana: Ed. Científico Técnica, 1988:1125. Robineau L. Hacia una farmacopea caribeña. Sto. Domingo: Enda-Caribe/UNAH, 1991:475. Chen, K:C.; Hsieh, C.L. ; Huang, K.D. ; Ker, Y.B. ; Chyau, C.C. ; Peng, R.Y. Anticancer activity of rhamnoallosan against DU-145 cells is kinetically complementary to coexisting polyphenolics in Psidium guayava budding leaves. J Agric Food Chem. ; 2009 jul 22; 57(14):6114-22. Gutiérrez, Y.; Miranda, M.; Bilbao, O.; De la Paz, J. y Rodríguez, L.E. Suspensión oral antidiarreica de Psidium guajaba, L. Rev Cubana Farm v.34.1 Ciudad de la Habana ene-abr. 2000. Ojewole, J.A. Antiinflammatory and analgesic effects of Psidium guajava L. (Myrtaceae) leaf aqueous extract in rats and mice. Methodos Find Exp Clin Pharmacol. 2006 Sep; 28(7):441-6. Begum, S.; Hassan, S.I. ; Ali, S.N; Siddiqui; B.S. Chemical constituents from the leaves of Psidium guajava. Nat Prod Res. 2004;18(2):135-40. Zhongguo Zhong Yao Za Zhi. 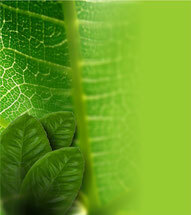 Studies on chemical constituents of leaves of Psidium guajava. 2009 Mar; 34(5):577-9. Quintero. Estudio farmacognóstico de Psidium guajava L. Universidad de la Habana. IFAL 1990.